So let's start with the negative aspects of the city and its climate. The climate is tropical therefore it is mostly hot... and humid! The air is really difficult to breathe and you sweat all the time not to mention the mosquitoes who are having a field day. It's surprising that Panamanians manage to go out wearing Jeans in such a heath. It seems like shorts are not really integrated into the culture of Central and Latin America. Then there is the aesthetic of the city which is not very pretty. It looks a lot like Miami - except that at least in Panama people can speak English, they like to joke! Luckily my hostel was not in the centre of the city but in the historic district with colorful colonial houses very nice to visit .... in one morning! 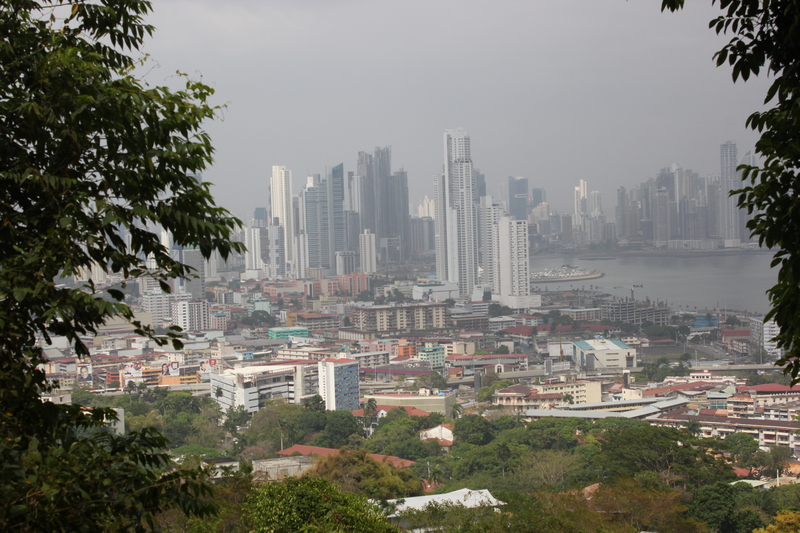 Finally it must be said, the city is great but there is not much to do in Panama City. We quickly made the rounds. The best thing is to have a car to explore the surroundings. An American who was in the same dorm as I rented a car for a day so we went to the Caribbean side to see the Fort Saint Laurent surrounded by wild forests. This very nice excursion made us past the famous canal. Then I still had 4 days to fill in. So I went to explore the huge Metropolitana Parc which covers several acres. There are some nice treks of 2/3 hours in the jungle. There I saw monkeys, turtles, colorful butterflies and giant ants. If you go to Central America you have to try Cevishes - seafood served in a cup. It worth also going to eat at least once in a canteen that serves as the traditional food - simple dishes often based on chicken and soups. One morning while i was wandering around I met a coconut picker who go me a coconut directly from the tree. Delicious! To finish, I should say that the Panamanians are very nice, some even greet you in the street or warn you when you are directed to an area not very secure, as well as the police is omnipresent.